"Perception, and dysmorphia are concepts I delve into in my practice. For this piece I wanted to utilize clay for the purpose of beautifying and redefining the ideology of an “undesirable” body. I wanted to shift the perspective of “unflattering” fatness and folds to something we can see and always find beauty in. Like that can be seen in lovely ceramic vessels. 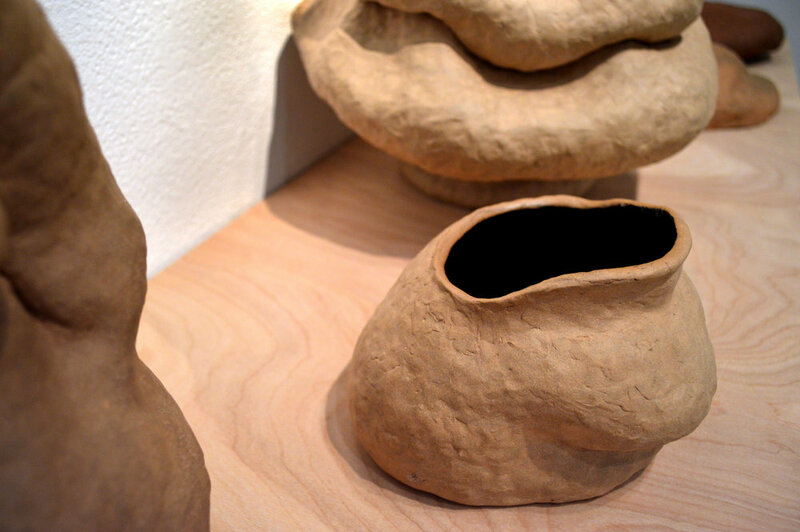 Firing raw ceramic clay bodies, hand building them, extracting imagery and inspiration from resting flesh are ways in which I placed the body into discussion. The main purpose of these bodily vessels is to reimagine the body, not as something that must fit a standard, construct, definition, or preference, but as something that just is allowed "to be" at all times."